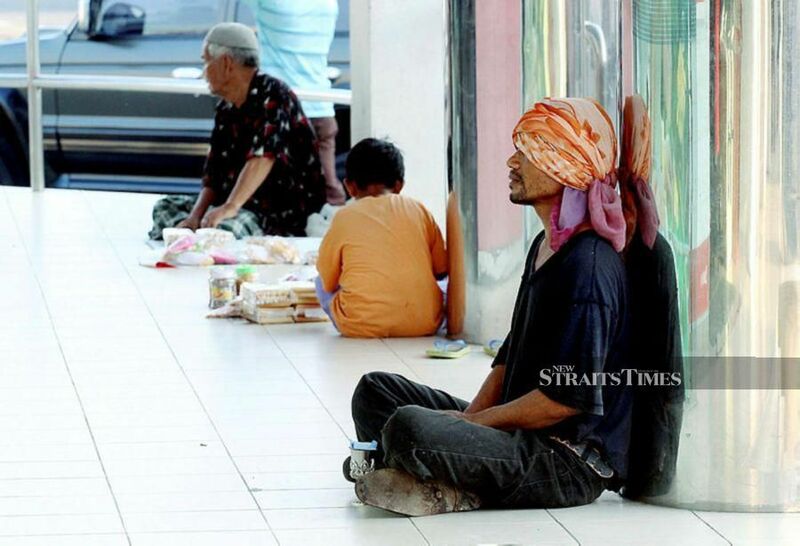 Will we agree to do away with the unflattering term of “warga mas” (senior citizens)? 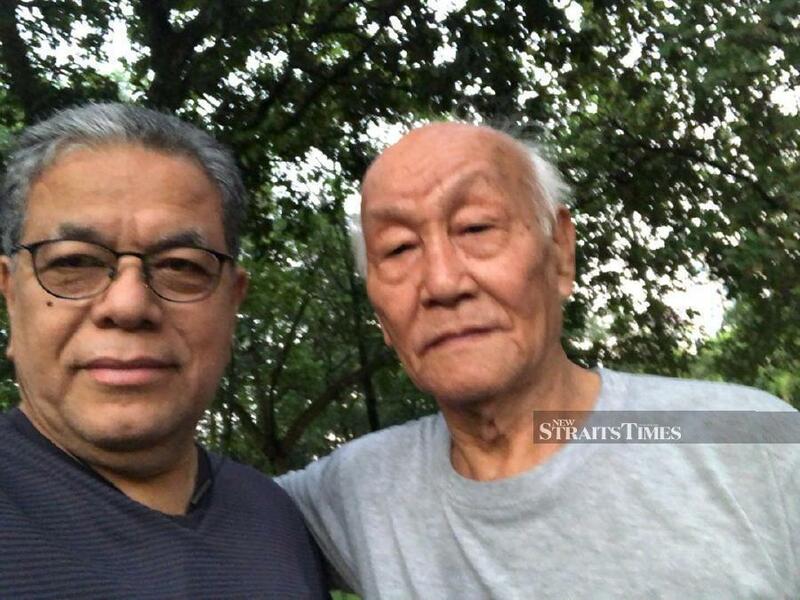 Former chairman of Media Prima Bhd Tan Sri Johan Jaaffar 65, and his friend Chan Choon Wah, 83, keep fit by going for early morning walks and jogs. FAILING to plan is planning to fail — a Benjamin Franklin quote, often mouthed by financial and risk managers to drive home the importance of income and assets planning for the future. Many may view it as an insurance agent’s sales pitch, but it’s a fact of life. Before a child is even born parents are already planning — for the day he is ushered into this world to the day he enters school. Whether things go as planned is irrelevant; the fact that even the best laid plans can go wrong only underscores the importance of planning. The baby whose arrival was planned by the parents will grow into an adult and he must plan what will happen to him as he grows older. In the blink of an eye, the tables are turned, and the adult must plan to care for his parents, while also planning the lives of his own children. The future has no brakes; the parents die and their place in the list of the elderly is taken up by the “baby” that they doted upon. The cycle of life means the baby who once could not change his own diapers must prepare for the day when he, too, will need adult diapers, and turn to his children to care for him. Our mortality is not the most pleasant of things to talk about, but we must prepare for it. Likewise, the government must do the same. Government policies and financial mechanisms relating to property, contributory pensions, personal savings and infrastructure must be in place at the onset of the population ageing process to help workers accumulate assets. T0 make such plans future-proof is thinking decades ahead instead of knee-jerk reactions. The government, hence, should develop an ageing-friendly healthcare system that focuses on prevention and less on costly hospital care. A fast-growing elderly population will strain the healthcare system. A perspective of how fast our elderly population is growing — next year there will be an estimated 3.5 million Malaysians aged 65 and above; by 2040 it will be 6.3 million. If that seems far off — in 1997, the number of Japan’s elderly surpassed the number of children; 17 years later adult diapers outsold baby diapers. While we deal with having to cater for the millions of elderly citizens, other aspects of the economy will evolve, such as living cost, which will increase. Whatever social safety measures we have for the elderly will not be sufficient in the future. We should, therefore, look at alternative means of making the economy more conducive for their survival, including allowing the healthy and experienced senior citizens to work. In Japan, in 2017, 28.1 per cent or 37.57 million of the population were aged 65 and above, but they formed over 12 per cent of Japan’s workforce. THE Department of Statistics has estimated that a baby born last year is expected to live up to 75 years. This is an increase of over 20 years in life expectancy since 1957. This extended longevity is largely due to improvements in living conditions and advancements in healthcare, which have contributed to lower mortality rates in recent decades. It also reported that in 2017, the total fertility rate was 1.9, which is below the replacement level of 2.1. Total fertility rate is the average number of children a woman would have if she lives to the end of her childbearing years. Such statistics suggest that the average number of babies born per woman in Malaysia is insufficient to replace the mother and her partner. Declines in fertility rate usually raise alarm bells as it brings about negative prospects especially in terms of labour supply and family roles. Such declines are due, in part, to improvements in education and employment opportunities for women which cause them to delay marriage and hence childbirth. However, this trend is not entirely problematic. A decline in fertility and mortality lays the foundation for a period of accelerated economic growth called the demographic dividend, or the economic growth which may happen provided other economic factors are favourable. It results from changes in a country’s age structure as people shift from living short lives and having large families to living longer lives and having smaller families. Having fewer children changes the population age structure where the number of young dependents becomes smaller relative to the working-age population, creating a bigger support base. In such a situation, production exceeds consumption, and fewer resources are needed to support the dependents. This frees up resources which could be channelled towards investment and economic development. Smaller numbers of children in a household generally lead to larger investments per child, more freedom for women to enter the workforce and more household savings for old age. While in terms of government resources, it implies an expanding population of taxpayers relative to the number of dependents eligible for the benefits. In theory, at the micro level, this may improve living standards for families and boost incomes per person; it can also result in significant gains in the economic development of a country at the macro level. This is the first demographic dividend which Malaysia has been enjoying in decades, and is expected to end in 2029 when income growth slows, and the ageing of the population begins. Economic growth resulting from the first demographic dividend depends on the enhancement of productivity of the working age population. The productivity of young adults is highly influenced by the quality of education and employment practices, technology and the timing and level of childbearing. It is imperative to have policies in place that make it easier for young parents to work and gender friendly labour policies that encourage higher female workforce participation while productivity at older ages depends on healthcare support, tax incentives and disincentives and the structure of pension schemes and retirement policies. Because the first demographic dividend is only temporary, countries should take advantage of this golden opportunity by implementing the above economic and social policies before it is too late. Eventually, declines in fertility will reduce the growth rate of the working age population, while further improvements in mortality will extend lifespan causing the elderly population to grow faster. Keeping other factors equal, the growth of per capita income slows down, and the first dividend becomes negative. 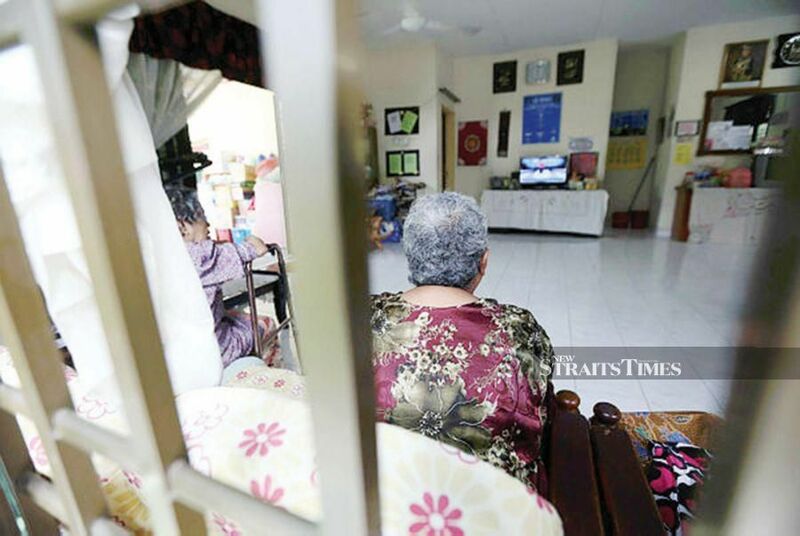 There will be 6.3 million Malaysians aged 65 and older in 2040, and it takes merely 25 years for Malaysia to experience an ageing population where the 65-year olds constitute 15 per cent of the population. For perspective, France grew old within 115 years. However, an ageing population opens up another window of opportunity — the second demographic dividend — where lower fertility and increasing life expectancy stimulate the accumulation of assets in all age groups. This is driven by old age consumption for a longer retirement period due to increasing life expectancy. With higher income per capita gained from the first demographic dividend and reduced child dependency as a result of fewer children, individuals are more able to prepare for old age consumption through savings and investment. The preliminary computation done for Malaysia shows that it could expect positive growth of the second demographic dividend to last beyond 2060. The extent to which the second demographic dividend is realised depends on how well a country provides support for its elderly. As the population ages more quickly, the resources needed to support the elderly increases. This may cause severe strains on the public pension system and family resources. However, if workers can start accumulating assets earlier on, they can achieve more financial independence during retirement and depend less on the government and their families. In doing so, government policies and financial mechanisms relating to property, contributory pensions and personal savings must be put in place at the onset of the population ageing process to help workers accumulate assets. Another aspect of equal importance is financial literacy in order to educate the elderly on how to save money and utilise the accumulated wealth effectively. Unlike the first demographic dividend, the second dividend is not transitory and continues indefinitely, where more wealth may lead to a permanent increase in income per capita. However, the demographic dividend is a potential, not a destiny. To what extent the dividend can be realised is dependent on the right policies and implementation. These policies include education and labour, economic, pension and retirement, and healthcare support that would empower citizens and enhance productivity-driven growth. Working towards seizing the demographic dividends means investing in our parents now and our children’s future. Creating opportunities and building them is our pay-it-forward responsibility. By Datuk Dr Norma Mansor. When I told him that I find it difficult to accept his theory, he replied with a cynical smile, “Never believe anything coming out of the White House. Nothing is what it seems”. What we know of the Meng extradition case is as follows. Last December Canadian police officers had arrested Meng Wanzhou (Huawei CFO and daughter of Huawei founder) at the request of the United States. She was later freed on bail of CAD$10 million (RM30.67 million) pending trial, on condition that she wears an ankle monitor and stay in Canada. 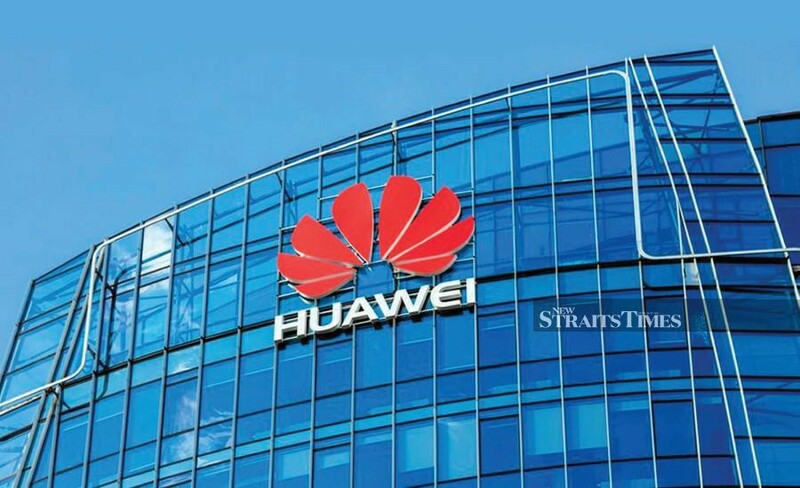 In January, the US made public an indictment against Meng and Huawei, alleging the company’s illegal or criminal activities over the recent years in stealing trade secrets, obstructing a criminal investigation and evading American economic sanctions on Iran. They were indeed serious charges. The US sought to extradite Meng to face these charges in American courts, and under the terms of an extradition treaty between the US and Canada, the Canadian courts were bound to consider whether the Huawei CFO be extradited to the US. The arrest by the Canadian police was part of the usual procedure before an extradition hearing. According to foreign reports, Meng’s arrest and detention by the Canadian police had created a rift in Chinese-Canadian relations. China later arrested and detained two Canadians on national security grounds and sentenced to death a Canadian who had been jailed for drug smuggling. On March 1, 2019, Canada’s Department of Justice formally authorised an extradition hearing for Meng to proceed. The department said that its decision was made after a full review of “the evidence in the case”, where it is satisfied that there was “sufficient evidence to proceed”. The hearing, which was scheduled to begin on March 6 at British Columbia’s Supreme Court, “is not a trial, nor does it render a verdict of guilt or innocence”. Legal experts say that the hearing will determine whether the fraud accusations against Meng by the United States constitute a crime in Canada. Before extradition can be granted, the conduct for which extradition is sought “must be considered criminal in both the US and Canada”. Meng’s attorney, David Martin, called the entire episode as being “politically motivated”. Maintaining his client’s innocence, Martin said the US prosecution and extradition is an abuse of the processes of law. Huawei had come under growing scrutiny by Western governments following allegations of espionage activities on behalf of the Beijing government. Australia, New Zealand and Britain had rejected some of the company’s services because of “security concerns”. A news portal had said Meng had “intensified US-China tensions” despite attempts by both sides to cool off their trade war. Trump recently told Reuters that he would “consider intervening” in Meng’s case “if it would help close a trade deal with China”. Huawei sells products to more than 170 countries and is a key provider of infrastructure for the new 5G network which is expected to roll out in 2020. Is this case against the Huawei CFO a bona fide criminal prosecution based on air-tight evidence of wrongdoing or is it a tool or weapon used by the US to defeat China in its on-going trade war with China? Has Canada become a “willing proxy” for the US in this trade war? It’s interesting how this power play would turn out. We just have to wait and see. THE South China Sea has been at the centre of concern in the international community due to its strategic and geopolitical importance. No single issue might be more eminently dangerous than the South China Sea issue to drive regional tension and great-power rivalry. The past three years witnessed a relatively stable and peaceful period, due to joint efforts by China and Asean member states, especially bordering countries. What will the situation be in 2019? Will tension rise again between relevant states? How can freedom and safety of navigation in the South China Sea be guaranteed? Approaching the Code of Conduct (COC) is the priority task for a rules-based order in the South China Sea Region. In the past decade, there have been calls for a regional code of conduct for the South China Sea to ensure peace and stability through regulating behavior. The first Working Group Meeting for 2019—the 27th JWG Meeting was held in Naypyidaw, Myanmar from Feb 27 to 28. Since the official launch of the COC negotiation in September 2013, the Code of Conduct negotiation achieved quite a lot of progress. In May 2017, the 14th Senior Officials Meeting held in Guiyang reviewed and approved the draft framework of COC. In November 2018, Singapore Foreign Minister Vivian Balakrishnan announced that the Asean member states and China had reached the single draft of the COC negotiating text. The leaders of the 11 countries also agreed to complete the first reading within 2019. At the East Asia Summit, Chinese Premier Li Keqiang proposed the vision of completing the COC consultation within three years, which means we will see a Code of Conduct within 2021 if everything goes smoothly. The proposal reflects China’s preference for an early conclusion of the rules and principles conducive to regional peace and order. Amid the constructive environment of pushing forward the COC, extra-regional powers expressed their concern as a “third party” and tried to be involved in the process. What is at stake is no less than the relationship between China and neighbouring countries as well as the negotiation of the COC. Maritime cooperation is key to China and Asean’s shared destiny and to preserving peace in the region before disputes are resolved. Stability in the South China Sea is bound to suffer from the continuing differences of views on territorial dispute issues. Solving maritime disputes through dialogue and consultation with directly-involved States is the general practice in history. Building trust and confidence is the very first step. It is common understanding to better start with maritime cooperation on a sectoral basis, such as marine environmental protection, the safety of navigation and search and rescue at sea. Cooperation and regime building in non-traditional security sectors can also build trust and confidence and spill over into co-operation on traditional security issues. China has been pushing maritime cooperation projects with Asean member states for the past decade. In 2011, China established the China-Asean Maritime Cooperation Fund valued at RMB 3 billion (RM1.82 billion), established a new platform for cooperation, and it was officially launched in 2015. In 2013, during his visit to Southeast Asia, Chinese President Xi Jinping shared that China hoped to vigorously develop a maritime partnership with Asean in a joint effort to build the Maritime Silk Road of the 21st century. In April 2016, China and Asean member states pledged to implement achievements of “early harvest”, including “the Hotline platform among Senior Officials of the MFA of China and Asean countries in Response to Maritime Emergencies” “the China-Asean hotline platform for maritime search and rescue”. In the 13th Senior Officials Meeting that August, all parties reviewed and approved “the Guidelines for Hotline Communications among Senior Officials of the Ministries of Foreign Affairs of the Asean Member States and China in Response to Maritime Emergencies” and “a Joint Statement on the Application of the Code for Unplanned Encounters at Sea in the South China Sea”. In terms of hard security issues, last year, the China-proposed joint military exercise was held from Aug 2 to 3 in the form of a table-top exercise at Singapore’s Changi naval base. On Oct 22, the first-ever organised joint maritime exercise was held in Zhanjiang, involving more than 1,000 personnel and eight vessels. Maritime security cooperation requires quite a leap of faith and it takes time and collective effort for China and Asean member states to achieve. It is also worth mentioning that maritime cooperation involves dynamic interactions among different players: government authorities, individuals, the public and so forth. These players must be educated to understand the benefits of maritime cooperation and the importance of confidence building. Hence, it is important for the governments of the coastal states to increase public awareness of it. Freedom and safety of navigation in the South China Sea is crucial to international shipping and the global economy. The United Nations Conference on Trade and Development estimates that roughly 80 per cent of global trade by volume is transported by sea. 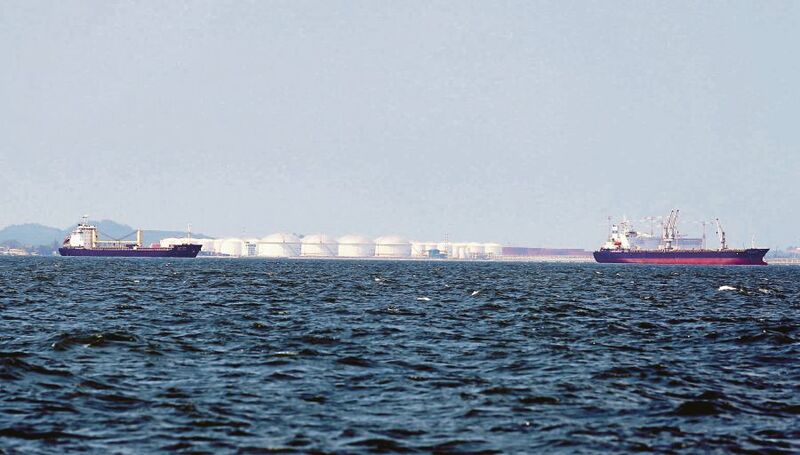 And the South China Sea is carrying an estimated one-third of global shipping of that volume. It is undoubtedly a critical commercial gateway of the world’s merchant shipping. Freedom of navigation is never a problem in the South China Sea. None of the coastal states will threaten or have ever threatened the shipping routes of the South China Sea. To China, the second-largest economy in the world, more than 60 per cent of its maritime trade in value travels through this vital shipping route. Freedom and safety of navigation is also a crucial issue to China’s maritime interest in the region. However, in terms of safety of navigation, there are more than 250 shipping incidents which occured in this vast water in the past decade. To prevent such incidents, bordering states could establish information-sharing platform in areas such as disaster alarm, shipping information and search and rescue. The Code of Conduct should also embrace incident prevention elements so as to enhance maritime cooperation in this less-sensitive non-traditional security issue. It will be conducive to all user states passing through the South China Sea. In the long run, maintaining peace and stability requires collective efforts from regional powers as well as all user states. Achieving the Code of Conduct will benefit all and help establish a rules-based order in the region. For China and Asean member states, deepening maritime cooperation will not only help build trust but also tackle common maritime threats. It will take considerable time and diplomatic effort, but it is worthy. The road ahead will be long; our climb will be steep. PARLIAMENT is a vital institution for formulating laws and policies, as well as for state-making and nation-building in a democratic state. Its business is in accordance with the nation’s Constitution and parliamentary standing order. It is also guided by the state’s principles and values for progress, peace and security. In Malaysia, the above process must be carried out with caution to avoid upsetting racial, religious, cultural and socioeconomic sensitivities. The functions must be executed with solidarity, honesty, tolerance and sacrifices from lawmakers across all divides. They should also be driven by historical narratives, past and present realities, and the ability to restrain democratic rights for the sake of national resilience and unity. Hence, no political elites or lawmakers should attempt to build a better tomorrow based on hypocrisy or by wiping out historical narratives. All leaders and lawmakers have to accept these prerequisites. This is because security, survival, prosperity and unity — as Malaysia’s most cherished core national values — cannot be achieved through falsehood, hypocrisy or the paradoxes of words and actions. Malaysia did not emerge from an uninhabited territory. It was constitutionally built through the design of British colonialism which incorporated the sons of-the soil reality with others who lived in this country before independence. As such, many security scholars regarded Malaysia as a “plural” state with “extensive grounds for conflict”. Its lawmakers must mitigate the state’s “ethnic balances” with wisdom, and its prime minister must at times act sternly and decisively to deter conflict or even civil war. Unfortunately, certain Pakatan Harapan (PH) leaders and lawmakers are insensitive to such a finding. Their previous egoistic opposition to “idealism” persisted, although they are already in power, where reforms and changes should be their priority. 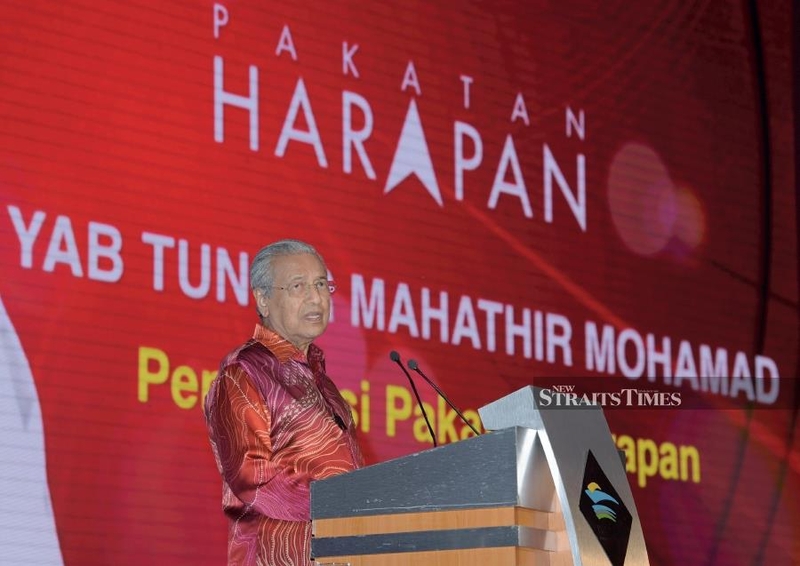 As such, Prime Minister Tun Dr Mahathir Mohamad is endlessly saddled with numerous and unnecessary polemics, controversies and provocations centring on “political idealism” contained in PH’s election manifesto. They made press statements relating to several issues which could actually be ironed out through the PH intra-party mechanisms and the spirit of comradeship. They made provocative statements without considering their impact on the credibility of the government. Recent polemics on the chairmanship of the Public Accounts Committee, appointed in accordance with Clause 77 of the Parliament’s Standing Order, for example, could have been resolved through the ruling coalition’s pre-council meeting before any parliamentary sitting. At this meeting, government lawmakers are briefed on matters concerning a specific parliamentary session. They are allowed to voice out problems, grievances or seek enlightenment over critical issues. Government lawmakers should also abide by the instruction of the components’ chief parliamentary whip who is normally the deputy prime minister. In the absence of this practice, PH surely has other mechanisms to instil discipline among its lawmakers during a parliamentary session. This mechanism is not to gag the ruling party’s lawmakers, but to maintain decorum, facilitate an orderly parliamentary session and avoid embarrassment to the government. PH is a new ruling coalition. Its credibility and integrity are constantly being scrutinised and judged by the people. The integrity of certain PH top leaders is also being doubted by some Malaysians and foreign observers. Hence, a polemic that escalated to labelling Dr Mahathir “a former dictator” is unwelcome. As a former lawmaker under the Mahathir Administration (1981-2003), I can irrevocably vouch that Dr Mahathir was not a dictator. While “a dictator is a political leader who possesses absolute power”, Dr Mahathir had tirelessly strived for the betterment of Malaysia and its people through power-sharing approaches. Many empirical evidences showed that Dr Mahathir employed the “whole of nation”, “whole of society” approaches to solve problems during times of crisis. 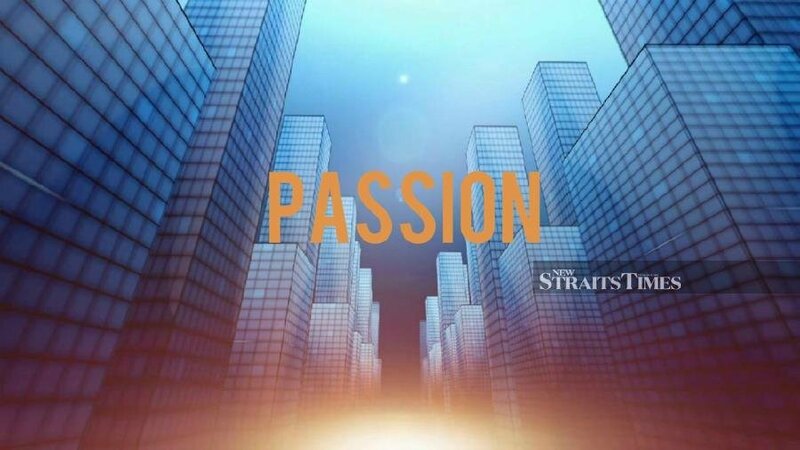 One of them was related to his struggle to salvage Malaysia from the 1997 financial crisis through the setting up of the National Economic Action Council involving all political parties and incorporating relevant corporate leaders and non-governmental organisations. The unconventional financial fiscal approach was eventually adopted by the most advanced countries in the western world. THE call by some groups to incorporate the Rukun Negara as the preamble to the Federal Constitution is timely. The Rukun Negara was first introduced as the national philosophy by the fourth Yang di-Pertuan Agong, the late Sultan of Terengganu, during Merdeka Day in 1970. Among the primary goals of the Rukun Negara are to realise Malaysia’s ambitions towards enhancing unity among the people; safeguarding the spirit of democracy; establishing a just society; maintaining a liberal approach in addressing diversity; and creating a progressive and technologically advanced society. FIRST, the philosophy of unity embedded within the Rukun Negara is essential to cultivate ethnic harmony which has been continually tested throughout the country’s history. Many pointed toward the Malayan Union controversy in 1946 as the turning point that marked the heightening of ethnic consciousness and nationalism among the various ethnic groups in the Malay peninsula. The Malays, across all strata of society, opposed the Malayan Union while the non-Malays were more ambivalent. This was likely due to the Malayan Union’s direct implication on Malay interests such as restriction on the powers of the sultans, reduction of Malay special privileges and loosening of citizenship requirements. The Malayan Union was then superseded by the Federation of Malaya in 1948. Voices demanding independence grew stronger and the British were compelled to concede but not before imposing several prerequisites. Among the conditions for independence was that all ethnic groups could demonstrate their ability to cooperate and live together. The success of the Perikatan coalition which consisted of multi-ethnic parties had proven the close ties and tolerance among the races under the spirit of “give and take”. Consequently, Malaya gained independence on Aug 31, 1957. Ethnic unity was again tested during the formation of Malaysia in 1963. The entry of Singapore, Sabah and Sarawak provided a significant demographic shift. Singapore introduced a bigger share of Chinese populace while Sabah and Sarawak introduced a wide variety of ethnic groups and tribes. For Sabah and Sarawak, the 20-point agreement has been laid down and added to the Federal Constitution to preserve ethnic identities and state rights. 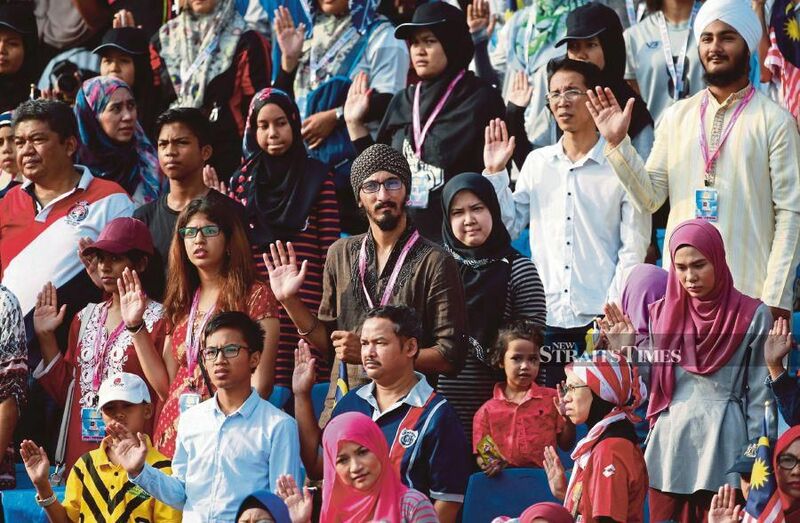 The inclusion of the Rukun Negara as the preamble would be a great addition to our multicultural Constitution. SECOND, in terms of economic disparity, the Rukun Negara’s philosophy of a just society is an essential guiding principle. The far-reaching economic gap between the indigenous and non-indigenous populations continues to be a significant concern. Prolonged economic inequality is known to breed prejudice and disunity within the society. The Rukun Negara itself was drafted in response to the infamous May 13, 1969 racial riots. The incident witnessed the suspension of the Constitution and the formation of the National Operations Council (MAGERAN) as the caretaker government to restore order and peace. 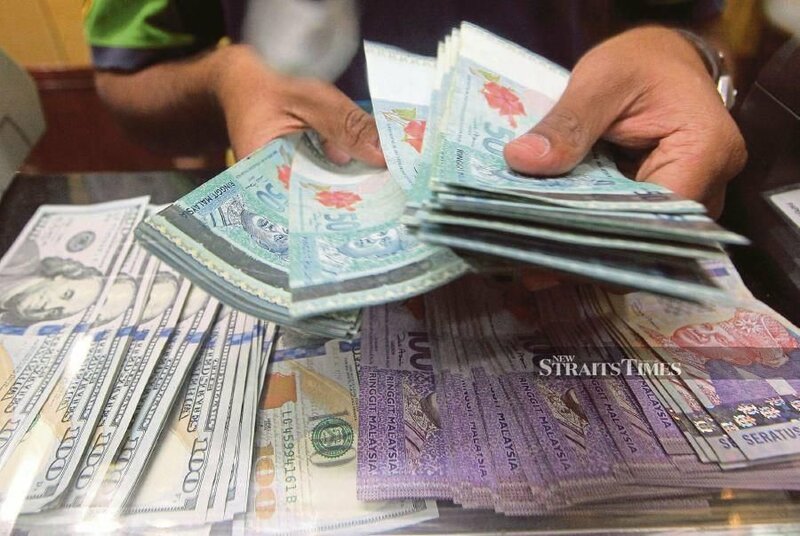 In addition to the Rukun Negara, the New Economic Policy was also introduced to reduce the economic disparity and ensure a fairer and more equitable distribution of the nation’s wealth. THIRD , the Rukun Negara as a preamble would significantly assist in interpreting the Federal Constitution. In this matter, the Rukun Negara can serve in three dimensions: providing the overarching ideals of unity, serving as the guiding principle in interpreting constitutional provisions and providing a substantive confirmation to the law. In this regard, the author wishes to emphasise the first dimension based on the crucial need to cultivate national unity especially considering the current social reality and the many voices raised against it. 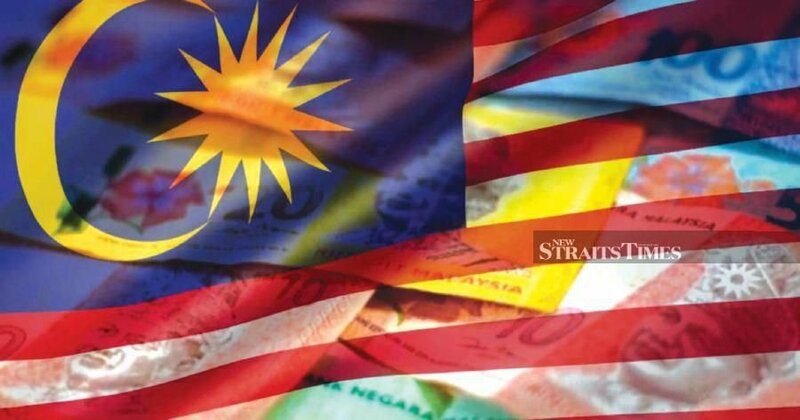 However, some parties question the need to incorporate the Rukun Negara as the preamble after 61 years of independence, and how it might impact the Constitution. In response, the author argues that inserting the Rukun Negara into the Federal Constitution will not diminish or limit any provision in the Constitution itself. This is because all the provisions contained in the Constitution are inter-related and mutually binding. The provisions cannot be read in isolation and without comprehensively viewing the document. Key provisions in the Constitution remain intact and safeguarded. These include Article 3 (1) which establishes Islam as the religion of the Federation, Article 153 on the special position of the Malays and the Bumiputeras of Sabah and Sarawak, Article 152 on the Malay language, and Article 38 on the rights and privileges of the Malay Rulers and Council of Rulers. Constitutional preambles generally emphasise general values and will not interfere with the essence and indigenous elements of the Constitution itself. Further discussion on the incorporation of Rukun Negara as the preamble to the Constitution is essential so that all parties understand its purpose and benefits. Meantime, one should not dismiss this proposal merely on the ground that the Reid Commission that drafted the Federal Constitution did not include the preamble. You are currently browsing the archives for the Ethics, Morality and Patriotism category.